Has been tickling the FUNNY bones of the young and young at heart for over several decades and is now entertaining to her 2nd generation of FUN. Professionally trained in the Art of Clowning Korki takes her FUNNY Biz seriously. 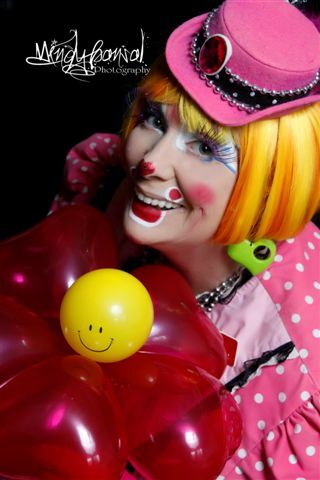 Presently the Western Cdn Director for the World Clown Association, Korki helps keep the clowning community conneted through newsletters, on-line networking and teaching. Home based in South Surrey / White Rock Peninsula; Korki is very Community commtted entertaining at many of the city’s events and is the creator of the walking WR SeaFest Children’s Pirate Parade. One of Korki’s latest endevors is writing an on-line children’s party advice column for www.White Rocks Best. In dedication to the Art of Clowning Korki attends educational workshops, clown conferences and competitions annually.